Dr. Li received her undergraduate and graduate degrees from Peking University Health Science Center. She was a visiting scholar at the Medical Mycology Research Center at Chiba University in Japan. 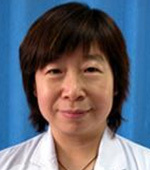 She currently serves as Director of the Department of Dermatology at Peking University First Hospital, Director of Beijing Skin Disease Molecular Diagnostic Laboratory, Director of Skin Disease Prevention and Control Center at Peking University, Associate Director of Mycology and Mycological Diseases Research Institute at Peking University. She is a recipient of governmental special allowance awarded by China’s State Council. She has also received recognitions from China’s Ministry of Health and Ministry of Education for her contributions in medical research and education. Dr. Li is involved in numerous professional organizations. Her current positions include Vice President and President-Elect of the Chinese Dermatologist Association; standing committee member of the Chinese Society of Dermatology of the Chinese Medical Association, leader of the Mycology Unit of the Society; Chair of the Dermatology Committee of the Beijing Medical Association; standing committee member of Dermatology Committee of the Chinese Association of Integrative Medicine; Council Member of the China Medical Women’s Association and Vice Chair of the Dermatology Committee of the Association; Vice Chair of the Dermatology Committee of the Beijing Medical Doctor Association; General Council Member of the Chinese Society of Microbiology，Chair of the Mycology Committee of the Society and Vice Chair of the Clinical Microbiology Committee of the Society; Vice Chair of Asia-Pacific Society of Medical Mycology; member of the International Society for Human and Animal Mycology and its Asia Fungal Working Group; member of Peking University Health Science Center’s Academic Committee; Vice Chair of Peking University First Hospital’s Academic Committee; Academic Committee member of Mycolichen Systematics Lab at the Institute of Microbiology of the Chinese Academy of Sciences. Dr. Li is on the editorial boards of ten journals including the Chinese Journal of Mycology, the Chinese Journal of Dermatology, the Chinese Medical Journal and the Journal of Peking University Health Sciences Edition. Dr. Li has 30 years of basic and clinical research experience in medical mycology. She was a visiting scholar at the Medical Mycology Research Center at Chiba University in Japan, the University of Texas Health Science Center at San Antonio and the Centraalbureau voor Schimmelcultures of the Royal Netherlands Academy of Arts and Sciences. She has completed ten research projects sponsored by the National Natural Sciences Foundation of China. Her research has been supported by the National Natural Sciences Foundation of China, China’s Ministry of Science and Technology, Ministry of Health and the National Institutes of Health. Dr. Li has actively led her team to collaborate domestically and internationally in clinical research of mycological infections. Dr. Li has collected 5,000 fungi pathogens, one of the largest collections in China. Utilizing molecular identification methods, her collection has advanced new pathogen identification. Dr. Li’s research on culture-independent diagnosis has improved diagnostic practices and standardized diagnosis of mycological infections. Dr. Li has helped to establish an in-vitro monitoring system for anti-fungal therapy. Her research has also focused on identifying drug-resistant strains and their mechanisms. Dr. Li has published more than 300 papers in journals including Infection & Inmunity， Journal of Antimcriobiol Chemotherapy，Journal of Clinincal Microbiology，Antimicroboil Agents & Chemotherapy, Medical Mycolog and Mycopathologia. The Science Citation Index has included more than 60 of her papers. Dr. Li’s research has received numerous recognitions including the Chinese Medical Science and Technology Award. She has been invited to speak at numerous Chinese and international academic conferences. She has also helped to plan many Chinese and international conferences. Her work has tremendously advanced China’s progress in the field of mycology.